Abu Omar is Waiting For You* is a Wellcome Trust funded project by artist Afshin Dehkordi exploring how threat and loss (including loss of social meaning) arising from migration and displacement can give rise to trauma and how this trauma shapes the human condition and perception of self and the wider world. We also look at how gift giving can rebuild social cohesion and alleviate trauma arising from the loss of social meaning. What happens to this trauma? Is it present in the body? Does it become mythologised? How can it be manifested and what systems are utilised as coping strategies? What else does re-framing traumatic events as stories, objects, and processes do? Heal them? Bring them to present-day consciousness? How is experience of life changed by experience of threat? 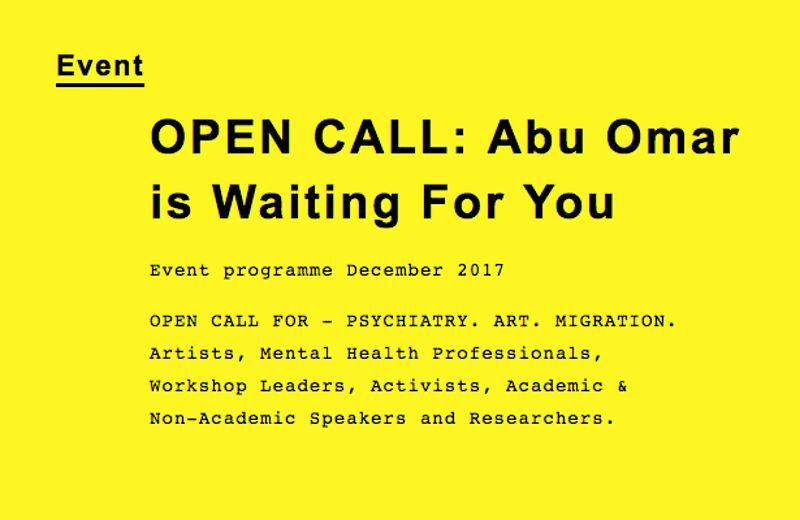 The open call for proposals is for a series of engaging interdisciplinary panel discussions, presentations, screenings, workshops and discussions that will take place between 2-18th December, (possibly spilling over into Jan/Feb 2018) in collaboration with The Showroom gallery exploring these themes and their intersections within art, psychiatry and activism.